Nice angle. 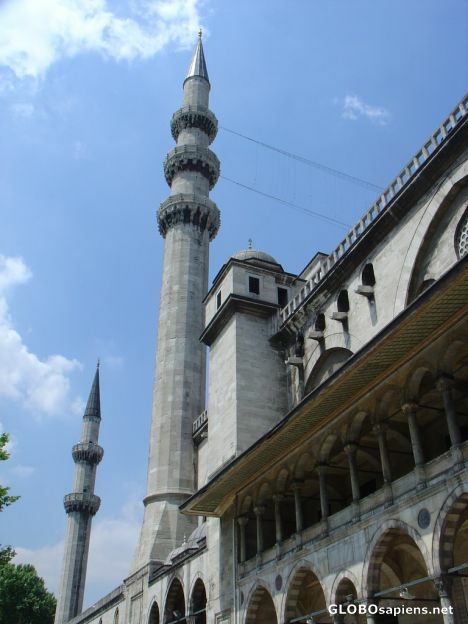 The minarets seem even taller than they are in reality. maybe you could use a photo programme take out the two wires (at least that's what I think they are). Marianne, those wires should be there:)because in our holy fasting month,a lot of lamps are connected between that wires to form a meaningful sentence about fastening or something..
That's an interesting detail. I didn't know the lamps were connected with ramadan. Now I suddenly understand many photos I saw. Maybe you could post a photo with lamps and explain this.